Want to dip your toes in the water before you take the plunge on buying a new instrument? We offer an instrument rental program to get you up and running on your new endeavor. 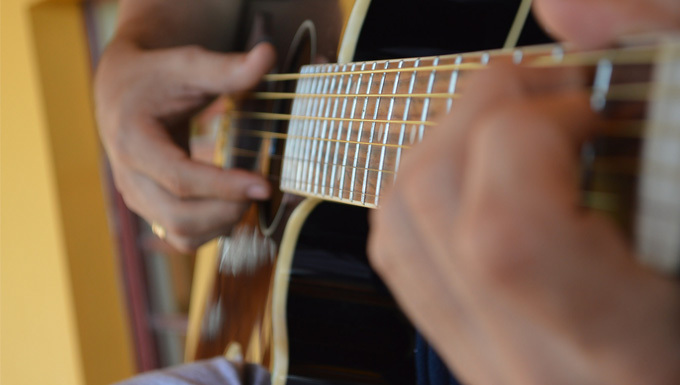 Entry level acoustic guitars, banjos, mandolins, ukuleles, dulcimers and violins are available for month to month rentals as you accumulate credit towards the purchase of an instrument. Buying an instrument can be daunting for a beginning musician. Sometimes you just need to get a little more acquainted with the instrument you are interested in before you commit to the purchase of one. After all, a well informed decision is usually the best one. That is why the Denver Folklore Center offers a rental program on most types of instruments we carry. The option to rent gives you the freedom to learn about the instrument and the time to figure out what you like and need in one of your own. Our rental program runs on a month to month basis. We offer rentals on nylon and steel string guitars of various sizes, A-style mandolins, open-back banjos, concert scale ukuleles, hammered dulcimers, lap dulcimers, full size violin outfits , and autoharps. Each month there is a $35 rental fee as well as a $7.32 maintenance fee for a total of $45.00 each month. The maintenance fee covers string changes or minor adjustments. Drop on by the shop any time to talk with our expert staff about your rental options. We can fit you to the most suitable instrument and give you the advice you need on your new venture.